It’s hard to say exactly where season six of The Good Wife went wrong, but wrong it went, and the narratives downfalls appeared particularly dire since they all came after season five, one of the best seasons of television ever. Season six has been all over the place with its themes, emotions, and stories—be they the more serialized arcs or the episodic cases—that it’s nearly impossible to parse out what the season means as a whole for any of its characters except, maybe, Alicia Florrick. Because somewhere along the way, The Good Wife became a show almost exclusively about its lead and her journey, pushing the rest of the ensemble to the side, only to have them pop up when it was convenient. Cary Agos had his moment at the beginning, but for most of the season has been little more than a plot device. Diane Lockhart continues to rock the hell out of a thick chain, but when was the last time she had a substantive, exciting storyline? In the season finale, Alicia finds herself firmless and friendless, and it’s all just a glaring reminder of how this season has struggled to give any weight or stakes to its relationships. The Good Wife’s writers have always excelled at blowing up relationship dynamics to turn them into something new, but season six has felt more messy than transformative. So here we are at the finale, and Diane and Cary are yet again just plot devices used to advance Alicia’s arc. They discover that Simone Canning—as in Louis Canning’s wife—was hired as the new paralegal under her maiden name and start to worry she’s spying on them because, as we all know, Louis Canning is an evil mastermind. Diane fires her, which makes Canning very unhappy, and he threatens, once again, to destroy them. What’s the point of all this? Well, it gets Canning to Alicia’s door for the final reveal: He wants to partner up with Alicia to start a new firm. It’s a fine cliffhanger to end on, but all the shuffling that leads to it feels like little more than, well, shuffling. Alicia’s story in the finale is its most compelling, as she works with Finn on their first—and last—shared case. Much like last week’s penultimate episode, the Case Of The Week here hints at the fun courtroom shenanigans of past seasons as Alicia pieces together the puzzle that is the legal system to try and help her client, a man who has been held in Homan Square, the real-life Chicago black site. The case demonstrates The Good Wife’s knack for commenting on real issues in a way that feels organic and authentic, without losing sight of the story its telling. Julianna Margulies and Matthew Goode both turn in stellar performances. Finn and Alicia have great working chemistry, so it’s disappointing then that it all has to come to an abrupt end, as Finn explains he can’t continue to work with her anymore because of their undeniable romantic chemistry. For weeks, I assumed the only reason Finn and Alicia hadn’t made out yet was because the writers needed to stretch it out as long as possible in the name of ratings. It turns out, it was never coming at all. Increasingly, The Good Wife is a show about unfulfilled desire, and that’s a tough theme to pull off since it leaves viewers unsatisfied by design. Missed connections and bad timing plague Alicia, from her relationship with Will to Kalinda to Finn. It’s hard not to feel like everything with Finn all built to nothing, but it also isn’t out of left field for the show to spend time building a personal and professional relationship only to have it all fall apart. It’s just that usually the fall out is more explosive and fan hitting, if you know what I mean. Here, it just feels anticlimactic, which is a word that can describe a lot of season six, in which too many storylines just sort of faded away without much payoff. All the stuff with Peter feels so inconsequential that I don’t have much to say about it, other than the fact that for the first time ever, I clapped for a Grace Florrick line. Someone had to point out the ridiculousness of Peter running for president while continuing to be in a pretend marriage. But while it’s hard to muster any feelings about Peter running for president or not, the small part of this episode about Alicia’s memoir resonates, hitting on some of the show’s broader themes. It seems that no matter what she does, people (in this case, Eli) will always try to force Alicia to be the monolithic, mythical “good wife” they want her to be. But as Alicia tells Kalinda, she’s done with anger, jealousy, and caring about what other people think. The State’s Attorney race didn’t break her, but it forced her to move on and make decisions based on what she wants. Hopefully, that means Alicia can actually give in to some of her desires when The Good Wife returns. It became so hard to care about her election arc this season, because it wasn’t clear why she cared. I don’t think Alicia needs to all of a sudden be totally happy and on top of the world, but a clearer sense of what she wants will make it easier for viewers to get invested in her journey again. And now, a few words on Kalinda, because I couldn’t possibly end my coverage of season six without eulogizing one of the most important television characters in my life. The thing about the Kalinda exit is that it was never going to be a satisfying exit. It couldn’t be. Too much damage had already been done to the character and her relationship with Alicia, which ceased to make any sense seasons ago. Tonight, the writers bend to fanservice by bringing Alicia and Kalinda together for a scene that should have happened seasons ago, as the characters finally deal with emotional consequences for past events. Ironically, the fanservice ends up being a bit of a slap in the face to fans due to the awkwardness of how it was shot, which made it appear very likely that, once again, Margulies and Archie Panjabi were not even in the same room while filming. We may never know the truth of what happened behind-the-scenes to cause this kind of tension on-screen, but whatever it was, the relationship arc was damaged in irrevocable ways. Sure, I cried when Alicia said “my time with you as your friend was the best I ever had,” because I instantly remembered all those good times they once had. But my emotional response had more to do with my frustration over how things turned out for my former favorite character on television and not with the on-screen catharsis taking place. Because ultimately, it just didn’t feel like genuine catharsis. The way it was shot wasn’t the only part that felt fake; the characters’ words to each other just didn’t make sense in the context of how they’ve interacted—or not interacted—for over 50 episodes. It was too little too late. “I wish we could do it all again,” Alicia says. Same, girl. Same. In her exit interview with Entertainment Weekly, Panjabi was asked, point blank, why Kalinda and Alicia haven’t had scenes together in an eternity. She said to ask the producers. It is very fitting that Kalinda wears one of her sharpest black leather jackets ever for her last episode. Wow, I’m really going to miss those leather jackets. Wallace Shawn’s performance as Lester is always a treat. Alicia burning the letter was excellent. 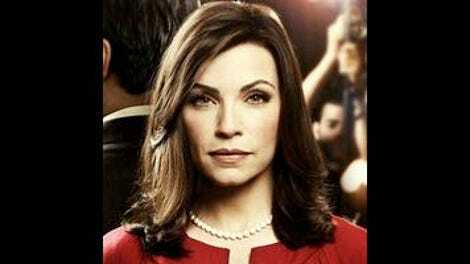 Contrary to popular belief, I’m still very much a fan of The Good Wife. There are parts of this show I still love a lot, but season six burned me a few too many times. Still, I have faith that the show will recalibrate next season. In any case, thanks for reading. I’m going to now pour myself an Alicia-approved amount of red wine. Cheers!